The survival of the threatened northern hairy-nosed wombat and the entire Great Barrier Reef are being put at risk by the huge spike in land clearings in recent years. And despite federal laws created to control them, the government seems to be doing very little. Since 2013, when the government weakened its land clearing laws, more than 300,000 hectares of land has been deforested each year. 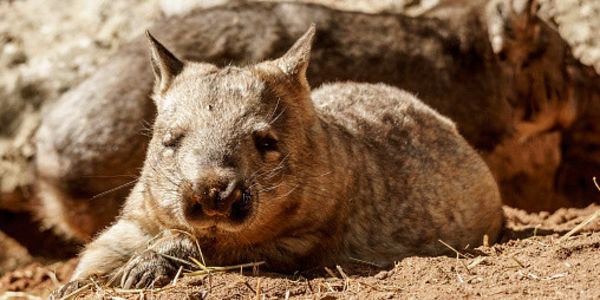 In that time, the hairy-nosed wombat has lost nearly 10% of its habitat, pushing it closer to uncertainty. To make matters worse, an alarmingly high percentage of the land being cleared belongs to “an endangered ecosystem, the habitat of an endangered animal, or [would] occur inside a catchment for a river that flows into the Great Barrier Reef.” In other words, the land is critical for the survival of an endangered animal or it’s in a watershed that impacts the Great Barrier Reef. Each of these factors should trigger government action under the federal Environmental Protection and Biodiversity Conservation (EPBC) act. With full knowledge of the encroachment on areas of environmental significance, the government has done nothing to force land owners to gain approval before clearings. In fact, less than 1% of those properties have done so. Meanwhile irreplaceable habitats are being destroyed. If the federal government refuses to enforce its own laws and protect the sensitive lands that are being threatened, then the situation could quickly go from bad to worse and we could have an ecological disaster on our hands. Tell the government to do its job and ask the minister for energy and the environment, Josh Frydenberg, to crack down on the uncontrolled land clearing that are destroying Australia’s natural heritage.